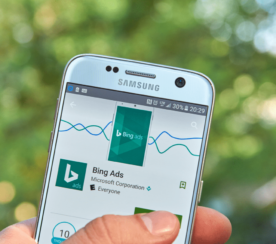 This week Bing has crunched the numbers and aggregated billions of search queries to give us the most searched people and events of 2012. 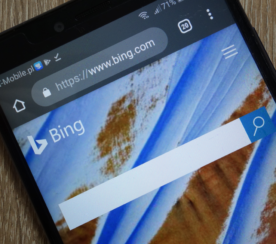 In a report released on Monday, Bing highlighted American top searches via user habits over such topics as; Sports Stars, Musicians, Celebrity Couples, News, Movies, Fashion, Destinations, and much more. For the top 10 most searched people of the year, Kim Kardashian came out on top of Justin Bieber with Miley Cyrus and Rihanna following close behind. Celebs like Jennifer Lopez, Britney Spears,and Lady Gaga did not make it back to the top 10 this year. In spite of such a hotly contested and well covered Presidential election, Barack Obama and Mitt Romney barely made the top 50, according to the Bing Report. When it comes to professional athletes, Payton Manning is tops in Bing Searches. Tiger Woods, Tim Tebow, Maria Sharapova, and Kobe Bryant round out the top half of the top 10 most searched sports figures. Although Bieber did not take the top spot in over-all people search, he is the top hit when it comes to most searched musicians. The late Whitney Houston featured prominently in the musicians list as well. Serena Williams was the most searched Olympian. The 3 Kardashian sisters ruled the Reality Star list. And the birth of Beyonce’s Baby topped the Celebrity Event list. When it came to news events, the launch of the iPhone 5 was the most queried topic on Bing, followed by the 2012 Elections, the 2012 Olympics, and Hurricane Sandy. While a fun and entertaining read, the full report is an homage to the American proclivity to waste hours upon hours scouring the internet for mindless entertainment. While it’s all in good fun, I doubt many professionals will find it useful, unless you can find a way to apply the Kardashian marketing model to your construction business. For my money, I would like to know what the top 10 search queries of the year were. What were people looking for that made them click the little magnifying glass the most this year? Or even better, what general products and services were searched the most this year? Wouldn’t it be useful for plumbers to know that more often than not people went to the internet to find the right man for that backed up toilet as opposed to tracking down electricians or A/C repairmen? When Pizza Hut is the most searched fast food, it should come as no great surprise that Weight Watchers is the most searched diet in the Health and Wellness category. But that information is only the very tip of an iceberg that could be very useful to restaurants and diet counselors all across the country. 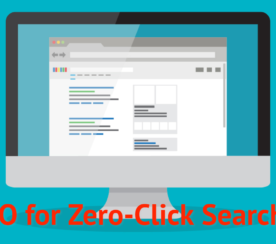 Rather than the pop culture pabulum, what kinds of searches would you be interested in knowing about?